Being an Interior Designer in Northern Michigan is truly a gift. My love of design has been with me since I was a little girl, and now my career offers me the opportunity to help beautify homes of all styles and sizes and from periods throughout the nineteenth century forward. At my doorstep are the classic cottages and log homes of Walloon Lake and Lake Charlevoix, with the likes of Ernest Hemmingway walking their shores in day’s past. We also have 100+-year-old homes on Little Traverse Bay, as well as some amazing new homes that have sprouted from the Quarry’s of Bay Harbor. Each home, unique in its own way, beckons families from all over the country wanting to share in the splendor of Northern Michigan. It is my privilege and joy to work with these homeowners, creating a space that will speak to them. Sometimes this means starting from scratch and creating a “new” kitchen that caters to the needs of their family. However, most of the time, we are trying to keep the integrity of the home while incorporating today’s modern conveniences. In doing so, I try to create a design that is “timeless”. By that, I mean keeping classic features such as crown molding, lighting, custom cabinetry, and original hardwood floors when feasible. I always encourage my clients to live in the space a bit before making decisions on demolition. A feature that initially bothered you, may grow on you over time. Especially in homes that are nearly a century old, where there can be a fabulous history behind the architectural elements. I do know that many times it is not a reality to keep these features, and many times just not what the homeowner wants. 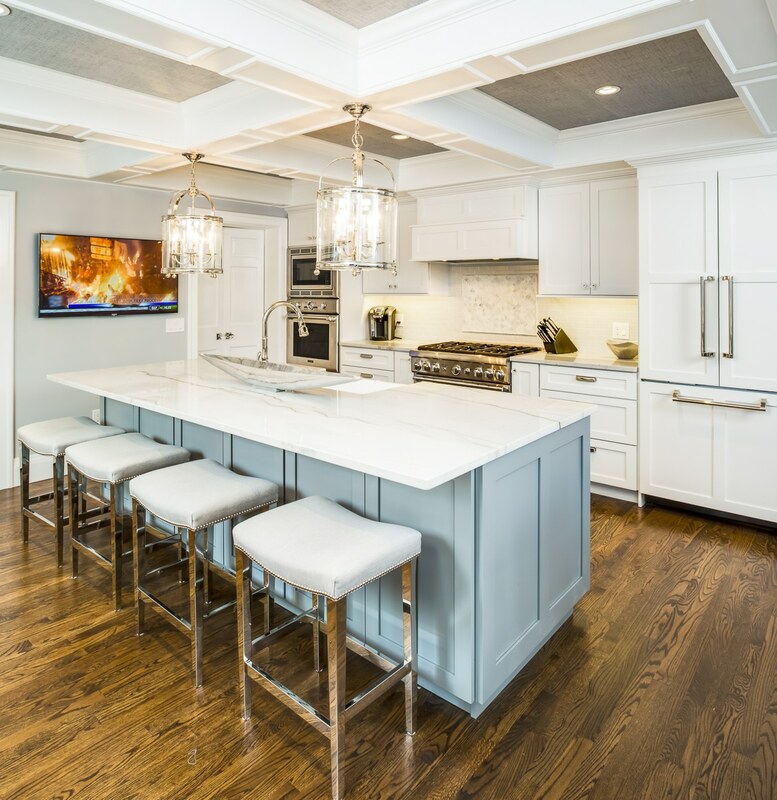 In this case, I set out to help my client create a kitchen that will stand the test of time and not just lend itself to new styles and design trends. In new homes, and even contemporary homes these rules still apply. Just because the design may be more modern or transitional in nature does not mean that it cannot stand the test of time with the right choice of materials. 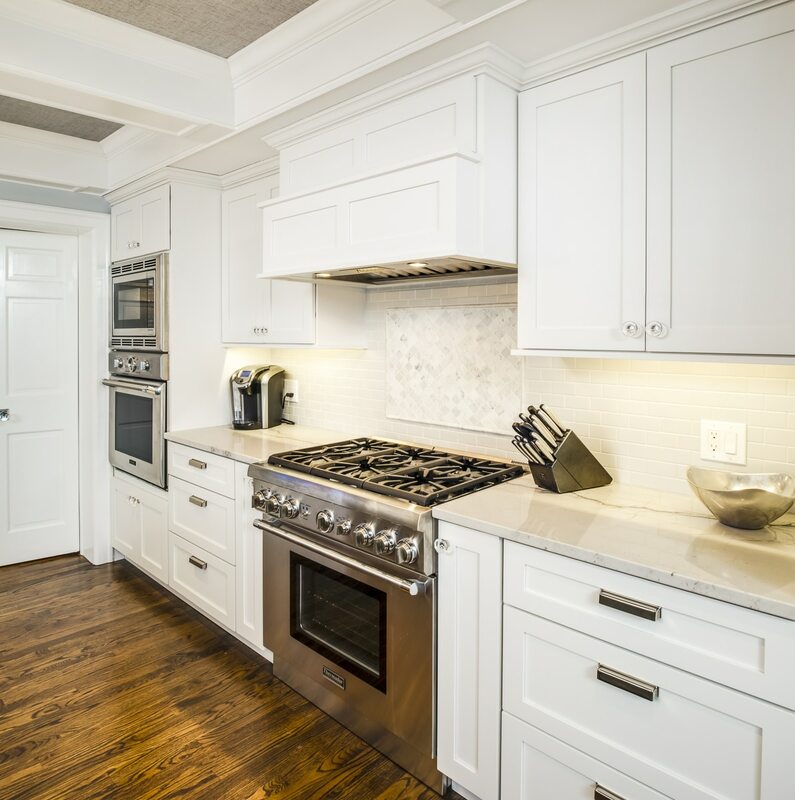 Creating a kitchen that is “timeless” involves starting with a palette that is somewhat neutral. Keeping flooring, and cabinetry relatively low key in neutral hues will give you a base on which to build from. You can then add color in elements that are easier and more cost effective to change in the future. These can include a brilliant backsplash, an incredible countertop, or lighting that will brighten your space visually. Design choices such as these can then become your “wow” factor, while more classic choices in flooring and cabinetry become a foundation that will continue to look fresh in years to come. 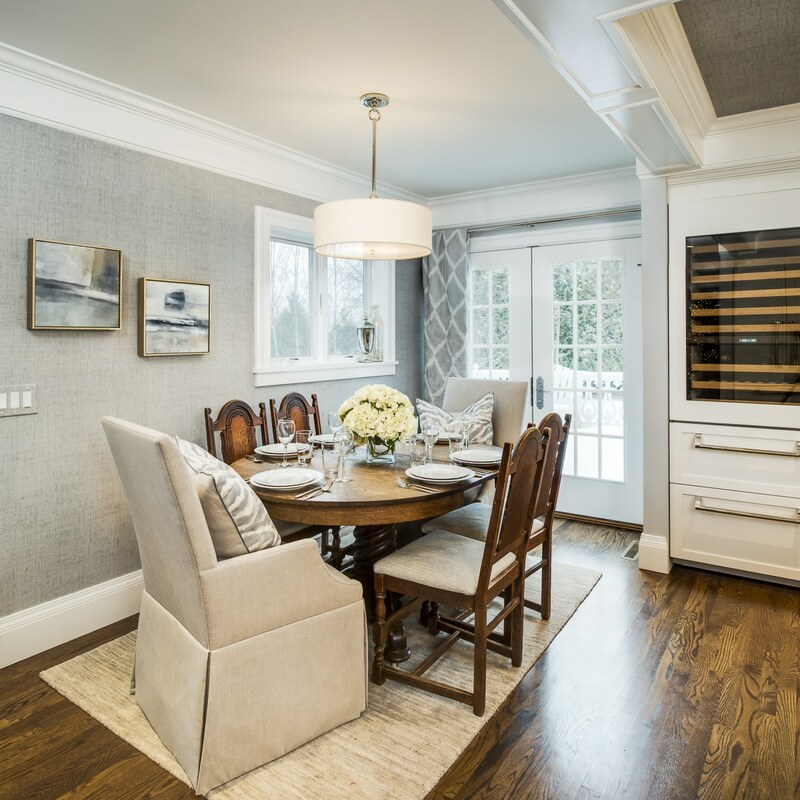 Great design can be achieved in any setting but starting with good bones and maintaining architectural elements that are characteristic of the style and era the home is key. Not to mention, keeping these classic touches within a home are always good for resale if that time ever comes! In a recent project, I remodeled a kitchen in a hundred-year-old farmhouse. My clients had a table and chairs that had been passed down from generations before. 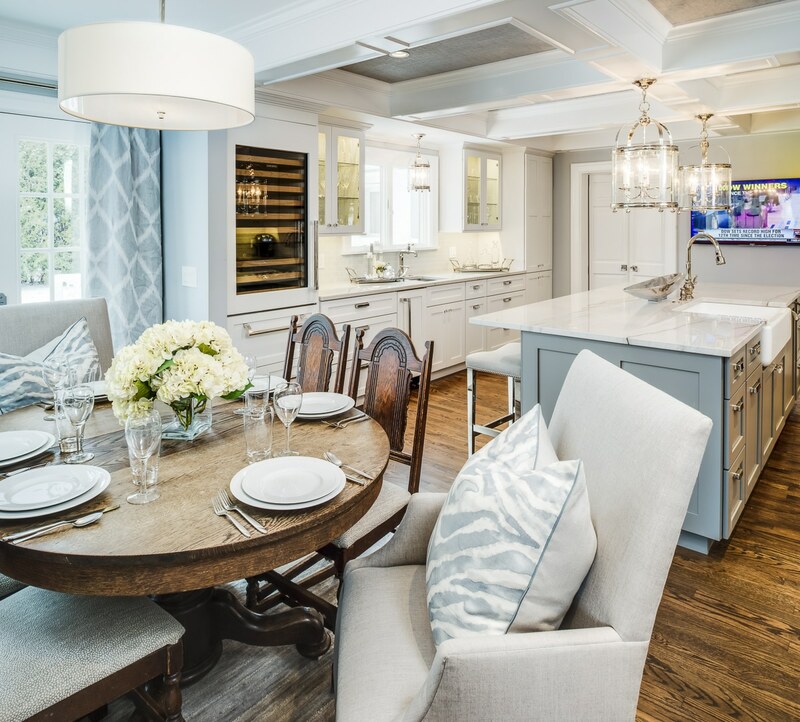 The entire remodel revolved around keeping that table as an integral part of the design. In doing so, we had to make sure the kitchen design would be acceptable for incorporating this beloved piece of furniture. We then chose cabinetry, plumbing hardware, flooring, lighting, and tile that would be characteristic of a home at that time. As we carefully and meticulously thought of in this design, one must remember that smaller details should not be overlooked. Little things such as door and cabinet hardware were chosen to be representative of the era of the home and had an enormous effect on the final design as well. 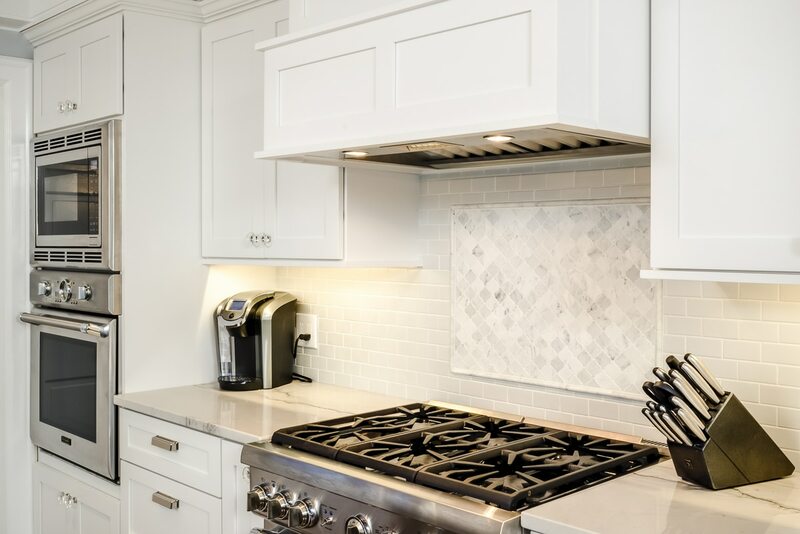 In this kitchen, we used updated crystal door knobs and cabinet hardware to give it a clean polished look while still being reminiscent of early twentieth century. It is a kitchen now, that will never go out of style. 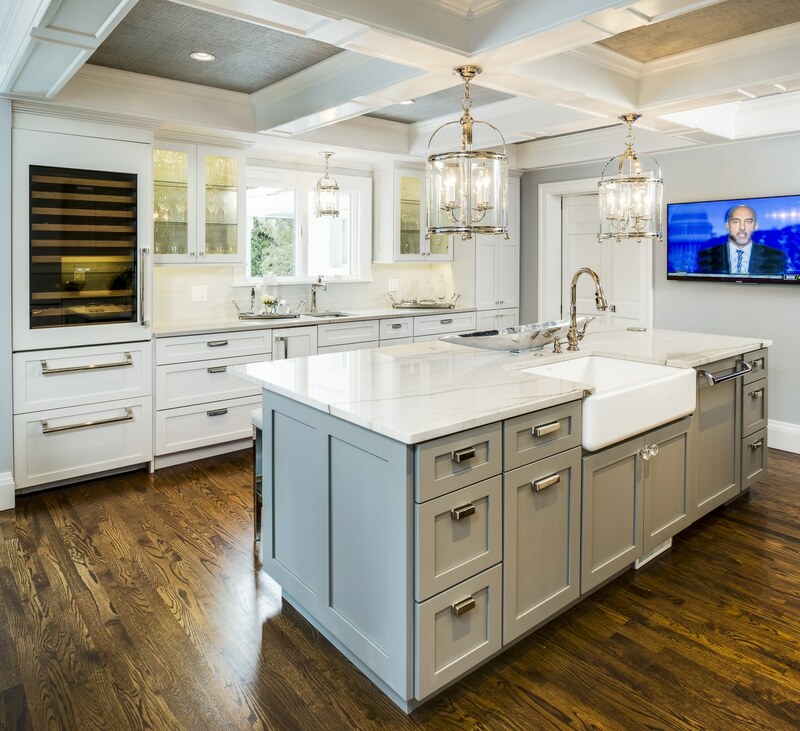 Using classic features, like a coffered ceiling, a farmhouse sink, white cabinetry and marble counter-tops helped to achieve this goal. These homeowners also have a home on Walloon built in the 1960’s. There they completed an extensive remodel and added an addition, all while keeping the integrity of the style of the home. In the kitchen, they added granite countertops and a fun backsplash to update the look, but kept the cabinetry from the sixties, and added a new fridge that was made to look like it was from that time as well. Classic mid-century modern lighting and furniture completes the look of the cottage, thus keeping the stories of years past alive in this home today. I commend my clients who took two homes, and two kitchens, completely different in nature and embraced each of them for what they were and the time they came from. New stories will be written in these kitchens, and they will function much differently than in days past but hopefully, the beauty of them will be enjoyed for many years to come.